there would be only confusion. you give me grace, your light and your warmth. Arguably one of Mexico's most famous muralists, Diego Rivera's love and life with Frida Kahlo has eclipsed his art in death. Born this day in 1886, Rivera would paint murals in Mexico City, San Francisco, Detroit, and New York City among other cities. Curiously, Kahlo was his third of Rivera's four wives. 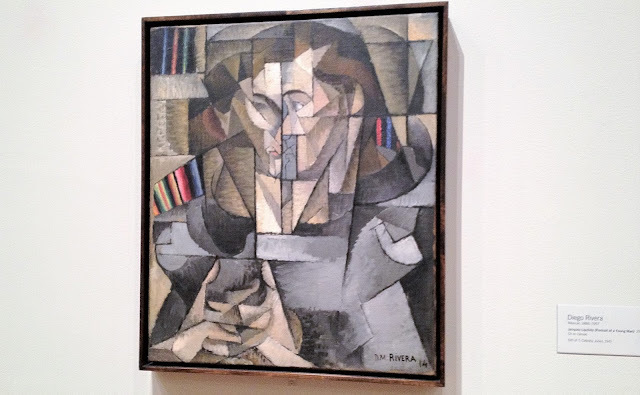 The photo accompanying this piece is of Rivera's, Jacques Lipchitz (Portrait of a Young Man) that hangs at the Museum of Modern Art (MOMA) in New York City. Jacques Lipchitz himself was a famous artists known for his cubist sculptures. MOMA first brought attention to Rivera's art to a wider American audience with a retrospective in 1931, two years after the museum opened its doors.